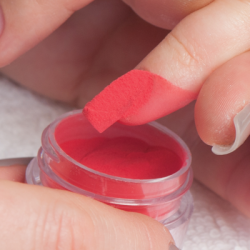 Apply a second thin layer of Simplicité PolyBase to all 5 natural nails. 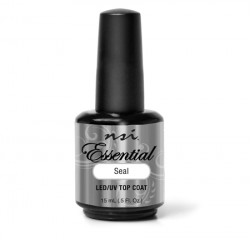 Be sure to leave a slight margin around the cuticle area to prevent bulk and overexposure. 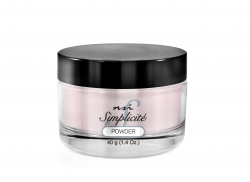 Slide and glide evenly into the Simplicité Powder of your choice at a 45 degree angle. Cure in the Dual Cure Lamp, LED for 30 seconds or UV for 2 minutes. Brush off excess powder with Plush Brush. Repeat on the other hand. 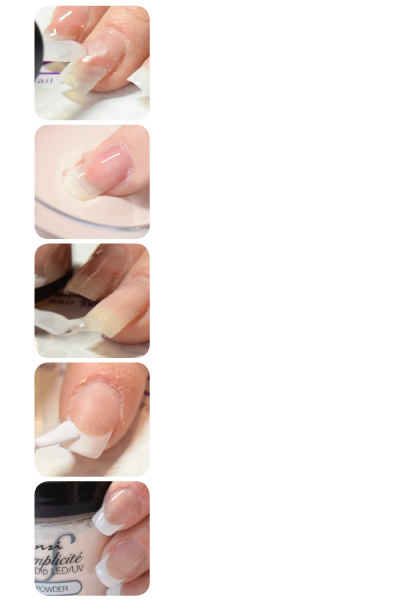 Repeat Step 3 on all 10 nails. If you need to create a higher apex, apply Simplicité PolyBase at the apex and dip again. Cure in the Dual Cure Lamp, LED for 30 seconds or UV for 2 minutes. Brush off excess powder with Plush Brush. Repeat on the other hand. 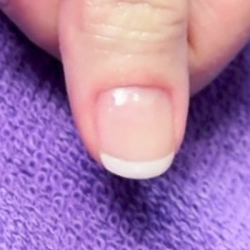 Using Simplicité French White, remove the brush from the bottle and wipe off the back side of the brush to remove some of the excess white. 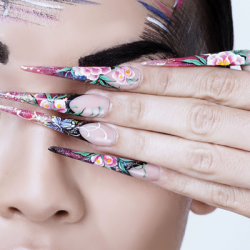 Brush onto the nail to create a smile line on all 5 nails. Cure in the Dual Cure Lamp, LED for 30 seconds or UV for 2 minutes. Repeat on the other hand. It is optional to repeat application for fuller coverage.